I am a Deputy Lab Director (and Principal Researcher) at Microsoft Research in Cambridge, where I lead the Systems and Networking Team. I am focused on creating new technologies that will underpin Azure’s future cloud infrastructure. I work closely with colleagues in Azure, and my current focus is on creating new storage systems for the cloud. 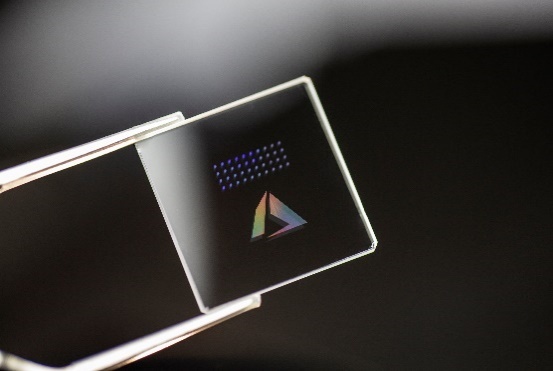 As well as pushing existing technologies, we are looking how to use recent discoveries in enabling data to be written in quartz glass for long term archival storage, for more information see Project Silica, part of our #OpticsForTheCloud efforts. For an overview of the work, see our recent HotStorage paper: Glass: A New Media for a New Era? . I was deeply honored to be awarded the 2016 ACM SIGOPS Mark Weiser Award. I am a systems researcher working at the intersection of Storage, Networking, Systems and Distributed Systems. During my career, I have worked in several areas, including structured overlays or Distributed Hash Tables (DHTs), wireless routing protocols and even Robot Football (RoboCup’98). I worked on one of the original DHTs, called Pastry (Middleware’01), and of the first large-scale key-value stores (PAST SOSP’01). I’m proud to say that the original Pastry paper written with Peter Druschel was awarded the "Middleware'2011 10-year best paper award". I try to select research themes to work on that I believe will have an impact in the real world. Often it turns out my belief is misplaced, but occasionally not! The work on distributed systems has had some internal impact; Pastry directly contributed to both the Windows DRT API and the related Windows PNRP API (the former even includes a leaf set). LiveStation licensed some of our P2P work around Pastry and SplitStream (SOSP’03). We evangelized the work on Squirrel (PODC’02) to many teams, and then BranchCache was created. Since moving to focus more on storage; IOFlow (SOSP’13) resulted in the SMB Bandwidth Limiting feature in Windows Server 2012 R2, and also inspired the end-to-end Storage QoS feature in Windows Server 2016 (see blog). Pelican (OSDI’14) is now owned by Azure, and they described it in an Ignite 2017 talk. Since May 1999 I have been working at Microsoft Research in the UK, where today I am a Principal Researcher and a Deputy Lab Director. My research interests are broad, covering the spectrum of systems, distributed systems, storage and networking. In May of 2010 I was elected as a Fellow of the British Computer Society. I received an MEng degree in Computer Systems and Software Engineering in 1993 and a DPhil degree in Computer Science in 1997 both from the University of York, UK. After completing my DPhil studies, I joined Cambridge University in November 1996, initially as a Research Associate in the Computer Laboratory and then as a Senior Research Associate in the Engineering Department, Cambridge. During this time, I was a consultant for the Olivetti and Oracle Research Laboratory (ORL) (which became the AT&T Research Cambridge in 1998).